Here’s a Days Gone demo played by a member of Sony Bend’s development team, as protagonist Deacon St. John is tasked with taking out a gigantic horde of the undead – or Freakers, as they’re known in the title’s lore. This is an old build – the same as the one shown to Game Informer earlier in the year – so it does look a bit jankier than the most recent trailer, but we really like the gameplay loop. Effectively, this gang of grotesque monsters is proving a threat to a nearby encampment, and so Deacon is sent in to clear it out. The video showcases how you can use the environment – including precariously positioned red barrels – to blow them to smithereens. The planning process reminds this author a little of BioShock 2, where you could have a lot of fun setting up traps for enemies to run into. I do like when games let you set up loads of traps and then lure enemies into them. Hopefully there are loads of cool gadgets in the final game so you can really get creative with how you deal with the zombies. Explosive tripwires from Horizon Zero Dawn would be perfect for these buggers. @ApostateMage oooh, I loved using those! Especially when luring into a fight those invisible Stalker mofos. @get2sammyb why there no arrow for player on mini map while running, moving around ? Did anyone watch the extended demo from E3 when this was announced? there were a lot of opportunity to use environmental objects to thin a 'medium' sized horde in the wood-yard. If it helps to get people to see this game for what it is and not see it as a 'Last of Us' wannabe, then great but this is 'old' news to me. Pre-ordered the 'Special Edition' - like the collectors edition with out the dust collector...err...statue and the pins/stickers too. @BAMozzy yeah I never got why people call this game a last of us clone or wannabe. I mean just by days gone being an open world game make it a lot different from the last of us which is a super linear game. Where are we at with this game? Lot of mixed feelings from fans. I don't think it's been marketed very well up to this point but the delays haven't helped either. I thought the latest trailer looks extremely good and I'm tempted to pre order. Few things bothering me though. Animation is a bit off putting, especially when he's climbing or falling and the gunplay looks kind of .... lightweight. On screen furniture is a bit old school too. I'm not trying to be nitpicky because I really like a lot of elements but it looks like it still needs work. @BAMozzy yeah I watched that video too so this isn't news to me and it didn't look like tracked how many zombies there actually were, instead using a good old fashioned energy bar to determine the size of the horde. My only concern was how telegraphed all of this could be as you walk into an area with deliberately placed trucks and the like to funnel them through. @carlos82 resident evil 2 remake won’t really be a game you be playing for a long time you probably be finish with it within an week or two if you somebody who take your time with the game. @carlos82 Its more like being aware of the objects around you and using them to your advantage. In a big open world game, you aren't following a set path that funnels the Freakers down - its up to you to use the environment to control the direction the Horde goes. If you don't want to go towards the trucks that can be exploded, you don't have to and the freakers won't get near them either. If you are more excited for a 20yr old game that is much 'slower' paced, linear and with clunky controls and a character that feels like they are running through molasses, then that is your choice. That can still be atmospheric and scary - trying to manage the resources, not having the ability to 'run' away fast and being limited to tight narrow areas. Instead of funnelling enemies into traps, you are being funnelled into enemies by the games linearity and environmental design. That's very different adrenaline fueled scare fest that being chased by a massive horde of freakers, trying what you can to buy yourself a bit of breathing space by killing the front group as they are closing you down, at least until the 'next group start closing in on you as they are faster, more numerous and relentless. There are a lot of massive differences between these two games beyond just the Linear vs Open World. Days Gone has Stealth mechanics too and you can use the 'hordes' as a weapon - lead or attract them towards an enemy camp and let them attack and clear out the enemies camp for example. Its more dynamic too in that weather, time of day etc play a part in the behaviour of everything. You can't get complacent either as both human and Freaker enemies will move - clear out the freakers and more humans will move into the area, setting up ambushes, clear out humans and more freakers will be around because the humans aren't killing them for resources. RE2 is 'static' in that the 'enemies' will be scripted to appear at specific points so every playthrough is the same and you can 'prepare' once you know what's around the corner - the only difference being the difficulty, the amount of resorces you get and bullets required to stop these. I just hope theres a button to instantly look behind you. Doesnt seem to be from the looks of it. Its going to be annoying trying to run from hordes and keep track of them having to manually swing your aim around. Surely theyve thought of this and will implement some sort of mechanic for it...... I hope. @BAMozzy on the video I watched the areas with the freakers were very obviously signposted and you could see exactly where the battle was going to take place before it happened. Now that may have just been how the video was meant to showcase it and hopefully much less obvious traps are in the main game, whilst I do think the horde mechanic looks interesting as a whole. My main problem with most open world games is what's happening between these events of what is the real game and it isn't always compelling, with most being over reliant on taking out enemy camps. I appreciate that there are a lot of differences between this and RE2, not least the type of game but for me these smaller, more focused titles are more compelling and the demo was dripping in atmosphere. I alawys find linear a strange term as many open world games are linear by design with something like RDR2 being one of the most linear games I've ever played in terms of its main missions, as you had no freedom of choice whatsoever and had to do exactly as told or mission failed. I know people complained about frame rate dips but I wouldn't be worried too much. Yes, it dips in some gameplay videos that have been going around PAX but nothing too bad or noticeable. We don't know if this is the build that was playable during E3 last year which pretty much had the same two types of gameplay types (abandoned motel/gas station and freaker pit). I would just hold my judgment until the final release of the game. I hardly ever buy a game at full price. For my PS4, for example, I bought Monster Hunter World and Spider-Man at $60. There are too many great games on sale, and the backlog is tremendous. Yet, as Days Gone approaches, I become more eager to traverse the Cascade Mountains in the PNW, taking on the undead and pesky humans alike. Bend is my home and I will gladly support this development team, at the full price of their game. For anyone wondering, the latest demos at Pax South were the ones shown at E3 2018, so none of the polishing and updates were in it. Can't wait for April, Days Gone going to be lit! I still don't get it, this game in general. It's like they're trying to imitate Horizon Zero Dawn with hordes for zombies instead of mecha dinos. All I'm going to say after watching that video is: quality over quantity. @RedMageLanakyn but isnt the quantity the whole point of this game? Otherwise it would be a tired old zombie game in an open world setting. The whole selling point is the quantity of "freakers." it adds a sense of panic instead of the atmospheric horror. I don't get it. Totally different games. I personally can't get interested in RE games. That also shows why its wrong to want to label games into a category. Days Gone is NOT a RE type of game at all. Not only there's the open world vs linear (nearly claustrophobic in RE) abysmal difference but also I feel you really see the difference between zombies and freakers from these games . Isn't there a World world z game coming out that looks similar to this with all the hordes of zombies? @carlos82 There is a big difference between a linear story and linear game-play. Games like H:ZD may well have a linear main quest/story path but the game-play is non-linear - you are not required to follow the path through the story, go from mission to mission in a scripted order with no deviation as you can go off and do side quests, resource gathering, hunting etc. There are plenty of other things you can go off and do so it isn't linear. Games like RE2 are Linear - both in story and pathway through the game. Its not like you can go off anywhere, opt not to do the 'next' mission because you fancy doing some hunting, some resource gathering, play some card games for fun, do some side quests, side activities like bounty hunting, go to the theatre etc. there is a lot of choice in what you do, where you go etc so its non-linear even if the story itself is and doesn't offer meaningful choice with various endings. You can have a 'linear' game with non-linear story telling to where a decision may branch off in a different direction but you still are travelling along a 'linear' path through the game. Instead of going from A to B to C to D to E to F, you go A to B to C then get a choice and decide whether you go left or right so its C to D or C to E, then D to F or E to G depending on the path you took, then F to H or G to I. The only way to see the other linear path is to replay and make a different choice - this is a bit like Wolfenstein where you get a choice early on and that has a 'slightly' different path through the game but still a linear path. Some other games may have a bigger choice that has a bigger impact but its still a linear game. Open World games are non-linear because you have the freedom to go where you want, freedom to go off and do other things rather than stay on the pathway through the story. You can if you want just go from main story quest to main story quest until you finish that story - play it very linearly if that's what you want but you don't have to, you can go off and explore anywhere, go off and find other things to do. One is like a holiday trek along Route 66 where the only 'objective' is to make progress along that road and the other is like a holiday where you are travelling along Route 66 but decide what you want to do, when you want to do it and the only objective is to have fun - want to go off and explore a nearby town, you can, want to spend a day playing pool in a bar you can, you can go off and have fun doing other things - you don't have to keep plodding along that road and can come back and carry on along that road anytime you want. If you enjoy that journey along route 66 and reaching the end is 'fun' there is nothing wrong with that but I also enjoy the freedom to go and find other things to do rather than keep progressing along that linear road to the end. @1_W1NG3D_4NG3L How is it adding a sense of panic when you have an infinite amount of time to plot their demise as long as you sneak around? I'd rather have fewer, smarter AI that make you think on the fly and challenge you than "here's a horde, here's your layout, find the best way to make them all dead". Such an awesome looking game, very unique, nothing even compares to it, easily the best looking open world unreal engine 4 game. @RedMageLanakyn Don't like, don't buy it, its quite simple. Looks pretty dull to me overall; the more I see of it, the less interested I am. @Gamer4Lyfe Thanks, that never crossed my mind. I guess I should just not voice my opinions or criticisms on a public commenting site while I'm at it too, huh? If you don't like my comments, you can ignore them, I'll continue voicing my opinion though, thanks. @RedMageLanakyn Sarcasm, how cute. Its people like you who are a cancer to gaming, crying about a game you have no interest in. But hey, keep fighting the good fight. @Gamer4Lyfe I bring up legitimate criticisms I have with the game on a public gaming site and now I'm cancer? Sounds like you need a timeout from the internet big guy, how many banned accounts have you gone through with comments like that? Based on when this one was created, I'd say quite a few. I'm done with you, you're clearly someone with an agenda against people who don't agree with your opinion. Doesn’t look very appealing from what I’ve seen. But I’m more into stealthy gameplay. Hopefully they show more than maniacal zombie slaughtering. I really need a new game for PS4. I’m sick of falling asleep with the controller in my hand because I’m so bored with ESO. 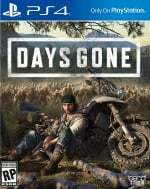 WoW I cant wait for Days Gone! I'n my humble opinion this game really looks like stupid fun. I'd be picking it up at some point this year. This is just a short demo. The first trailer was about the open world. Im guessing the second trailer is going to be about combat, skills and weapons, bike upgrades so that should answer your question. I believe the third and last trailer is going to be about the story and character development which I hope is really good. @JJ2 My playstyle in this game or any other has absolutely nothing to do with the footage we have been shown. From what we have seen, you have plenty of time and opportunity to plan out an attack on the horde. If the final game represents something different, that's fine. I'm going off of what we have been shown. The reason I am commenting "(so much, which I think I've made maybe 4 comments across several articles?) is because I trust first party Sony games to be fantastic, and based off what I have seen, I'm not getting that feeling with this game. Don't take this wrong way, I mean this in a friendly way, but it's hard to take quips and nasty comments from that other guy based on your profile pic, and his account being recently created and ONLY making comments on articles involving this game, it sounds like you're defending this game because you believe so much in it, that it offends you to see someone say something that isn't praise. @RedMageLanakyn That’s sort of my take as well. This just doesn’t look like it’s gonna measure up to the 2018 Sony releases. I see The Order: 1886 written all over this. I didnt mean you in particular but I see a lot of people comment in forums, youtube , twitter etc how they are not interested and that makes me chuckle. thats not personal about you. I read your comment again and it looks like your not understanding the relation between my profile pic and my commenting a lot in Days Gone articles? You think I comment because Im offended and I need to 'defend'? I mean its my most anticipated game.... Am I guilty of commenting too much about it? @RedMageLanakyn things dont always go according to plan though. Just because you plan to do it one way doesnt mean the horde would not move in a way you was not anticipating and all of a sudden you take a wrong turn and potentially start to panic. Im not attacking your view i appreciate an oppinion is just that, an oppinion. Im with you. Surely a comment section on an open forum is designed for open discussion. @1_W1NG3D_4NG3L It's all good, I try to respect everyone else's opinion when it comes to games they may dislike/like. Here's hoping when the game releases, it proves me wrong and gives me a reason to pick it up. I'd hate to see a first party Sony title fail to live up to their excellent reputation. @BAMozzy my point is in many open world games those side activities aren't always compelling, yes they are there but in most cases that doesn't stop the main game playing out in a very linear fashion. Horizon was a great game with excellent combat but even I'll admit that the side content amounted to little more than just collecting icons but the combat was so good I made my own fun. Then there are games such as The Witcher 3 with side quests that were more engaging than many games main story and plenty of options in how the game progressed. Skyrim which gave you quests and rewards whichever direction you ventured off into and a game I still play now, whilst the recent Zelda was amazing to explore and I've wasted 100s of hours in its world. I was disappointed with RDR2 as it felt like just chase the yellow dot around the map for the main story or I can follow a magic white line in the realistic immersive world to hunt a 3 star squirrel and any attempt at creativity was met with mission failed, it was that last point which put me off the game. Its not that I dont like open world games and there are a few I adore, just that many give little freedom in the story or the side content amounts to little more than a checklist to tick off. Ubisoft games are particularly guilty and for the most part they feel too similar to one another due to sticking to a fairly rigid formula and only give the illusion of freedom. @carlos82 did you just say resident evil 2 remake is short? @BAMozzy you're joking about what you said about resident evil 2 remake right?